This basketball reflector personalized Christmas ornament will shine brightly on the tree after brightening the holiday season for a basketball player or fan. The reflector on this quality ornament is crafted using ancient glass blowing techniques - this isn't made from a cheap plastic mold. We'll make this ornament even more special by hand letting onto it the details you provide. 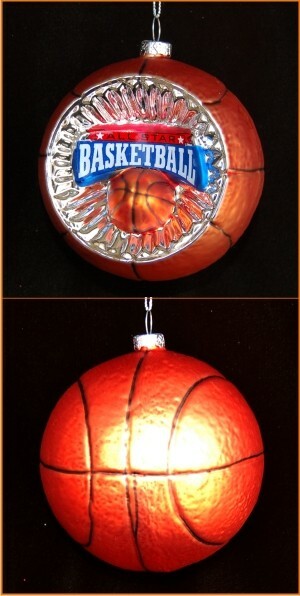 This glass basketball reflector Christmas ornament is one of many sports ornaments personalized for the athlete or sports fan in your home from Russell Rhodes. Start of season ornament for 5th... Dec 27, 2014 Roberto L.